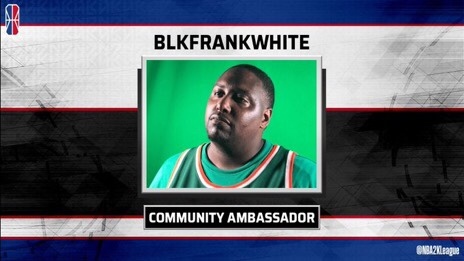 The NBA 2K League has hired BlkFrankWhite as the NBA 2K League Community Ambassador. Notably, BlkFrankWhite made multiple appearances on the league’s pre-season The Post Up show on Twitch. He has also made several appearances on the league’s broadcast this season, joining in-studio host Phil Visu to provide analysis for recent games. Previously, co-founded and co-hosted First Shake, a NBA 2K League debate show, alongside Jelani “2kCompGames” Mitchell, who now serves as the Head Coach of Jazz Gaming. As the posting showed back in December of 2018, the role will manage community engagement around the NBA 2K League’s social and digital platforms. This is yet another hire to provide even more content for the NBA 2K League. The hire adds to the ever-growing content team that the league believes will ultimately help its growth.